Along with the low finance rate, you also get more favorable terms. Limits to the amount you can be charged for closing costs, and may be paid by the seller. Membership required. On approved credit. Rates subject to change at any time. Rates subject to change. For more information visit Account Information, Terms & Conditions, Current Rates, and Fee Details. 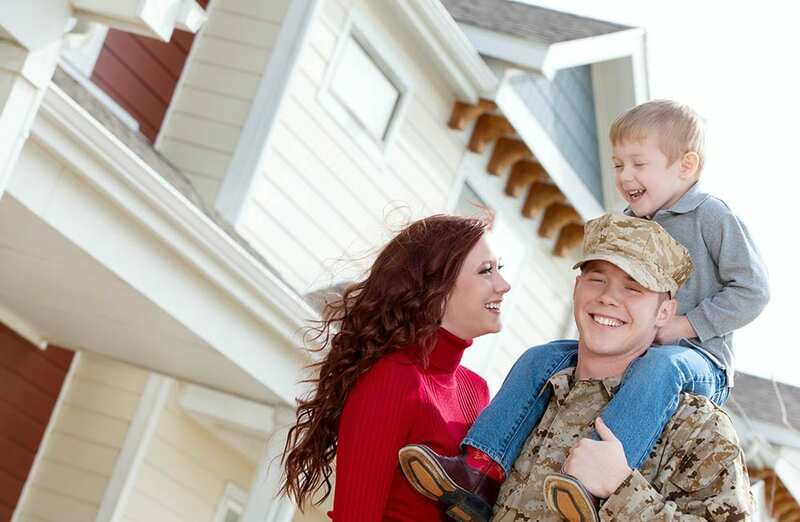 You must have satisfactory credit, sufficient income, and a valid Certificate of Eligibility (COE) to be eligible for a VA-guaranteed home loan. The home must be for your own personal occupancy. The eligibility requirements to obtain a COE are listed below for Service members and Veterans, spouses, and other eligible beneficiaries. If you are now on active duty, eligibility can be established after 90 days of continuous active duty. Upon discharge or release from active duty, eligibility must be reestablished. *Individuals who completed less than six years may be eligible if discharged for a service-connected disability. Note: A surviving spouse who remarries on or after age 57 and on or after December 16, 2003, may be eligible for the home loan benefit. However, a surviving spouse who remarried before December 16, 2003, and on or after age 57, must have applied no later than December 15, 2004, to establish eligibility.